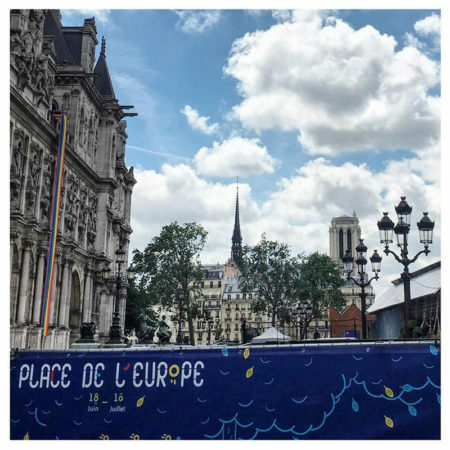 Due to a potential flooding of the quays two days before the event, the show was moved to the square before Paris town hall. 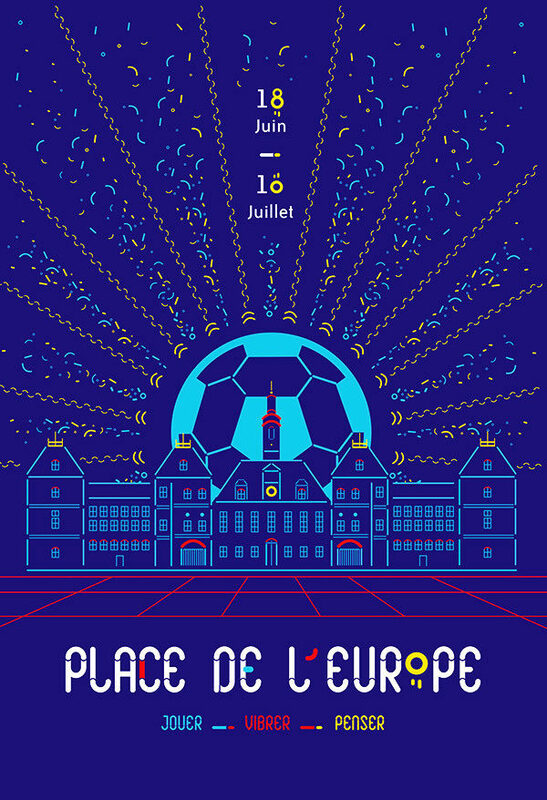 L’Associé thus conceived an identity and scenography able to welcome and federate participants coming from all over Europe. 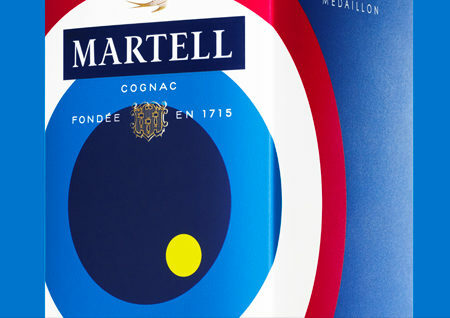 A playful experience bringing an unexpected and convivial take on soccer. 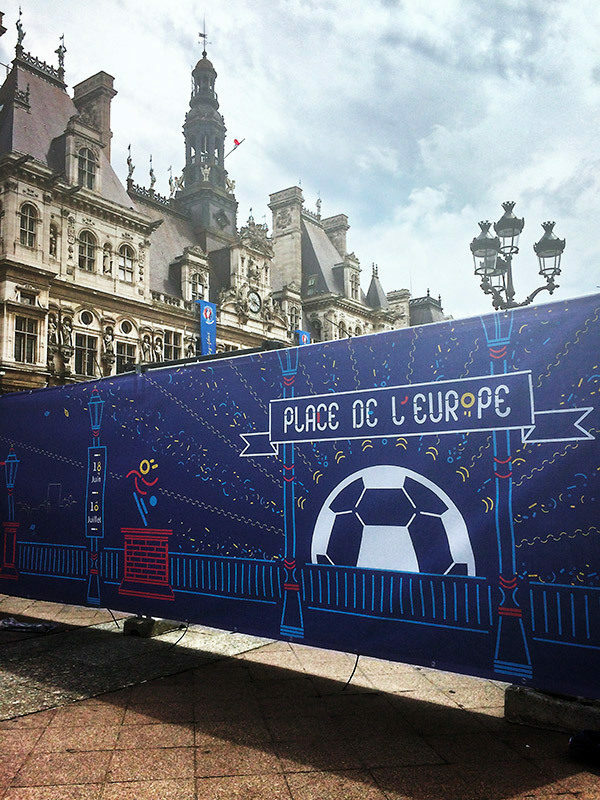 What identity to develop for the event organized by « la Mairie de Paris » during UEFA EURO 2016? 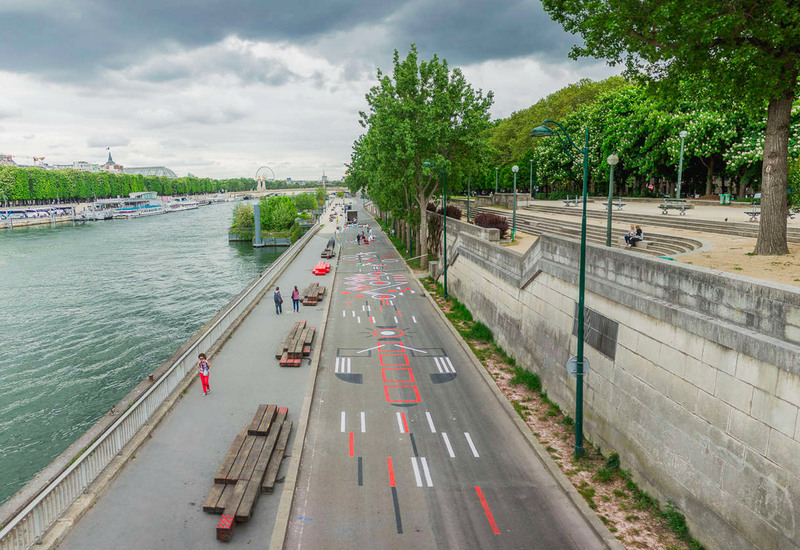 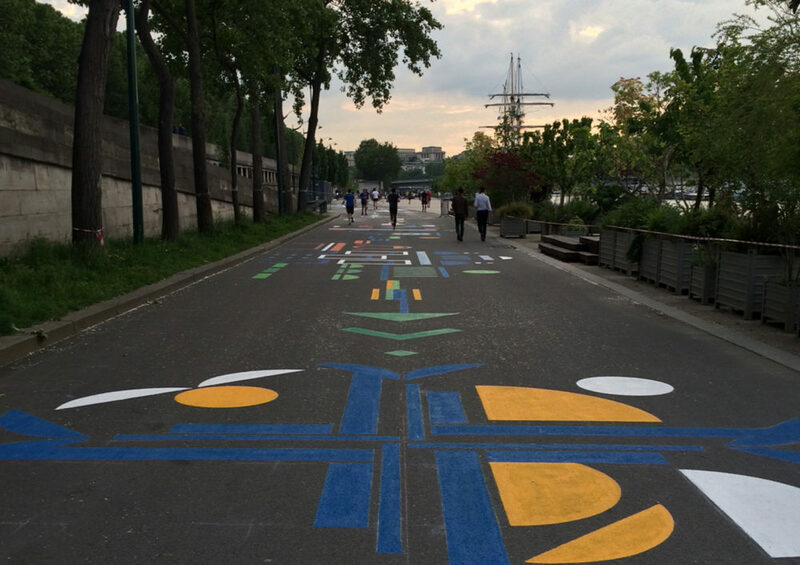 Activate the baseline "play, vibrate, think" via an immersive concept, a pedestrian fresco conceived by artist Élise Morin that dresses the Seine quays. 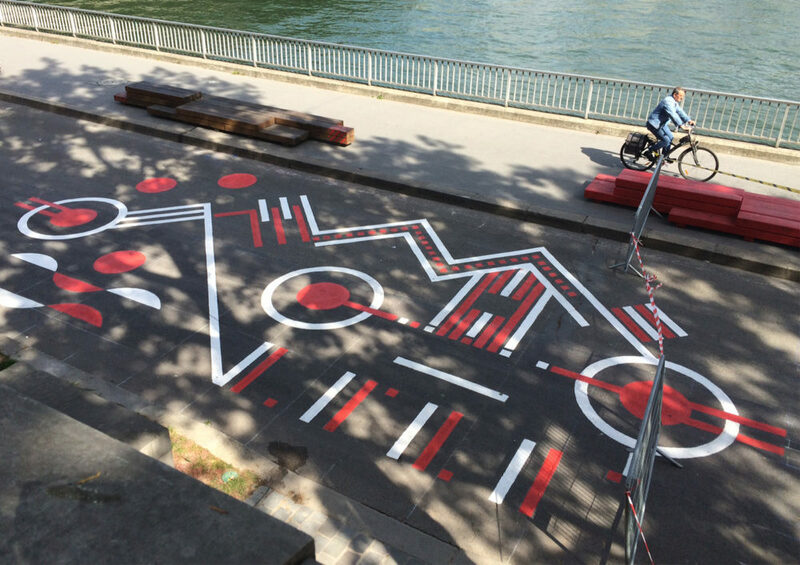 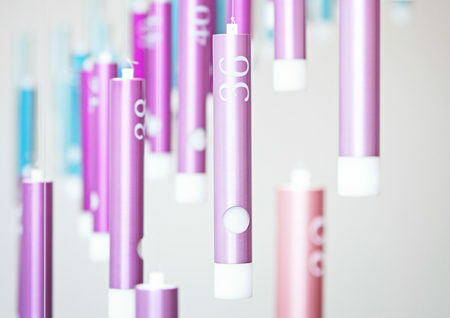 Graphic designers of each participating country were asked to design a part of the patterns.